The more you try to be like someone else, the more out of line you will be with your destiny. And at the end of the day, what will define success for your life will not be what you have done in relative to what somebody else has done but what you have done in relative to what you should have done. 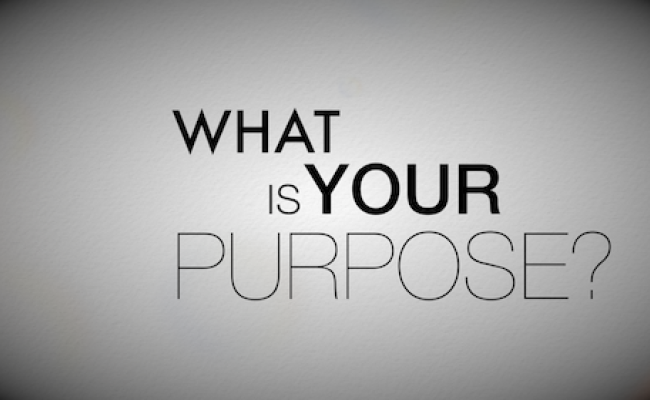 Immediately purpose is discovered, your eyes become opened...why? This is because eyes that look are many but eyes that see are few. You naturally become a dreamer when your purpose is understood... You begin to see a new you. You automatically see beyond where you are, your power of imagination comes alive and you begin to see the picture of what you love to be. For example, if you discovered your purpose is to be a leader, you begin to see yourself as one and thereby working toward becoming it. If you discovered your purpose is in leadership, it is natural for you to see yourself as a politician... You begin to imagine that you are a governor or a minister, or even the President of a nation. Until you discover your purpose you cannot see yourself in it. Vision and faith walk hand in hand...vision naturally leads to faith, because vision means you can see the reality of what has not happened about you yet...and that is faith in action...the substance of things hoped for and the evidence of things not seen. Your vision is not vivid until your faith is firm. Though vision begat faith but it is faith that gives power to your vision. Vision becomes weak when faith is weakened. Until you can faith it, you will fail it. Vision faints in the absence of faith. When a man discovers the right purpose for living, he naturally knows the direction to walk. Many people today don't know WHERE to go because they lack the WHY of their existence. Immediately your WHY is discovered, your WHERE becomes so clear...Purpose is the WHY of your existence while vision is the WHERE of your destiny. It is possible to keep moving without making a progress when the right purpose is missing. A man with no specific direction will only walk a distance without a displacement... And activity is never equal to productivity. Also, immediately your core purpose is discovered you become very objective about life. And until your objectives in life are clearly defined you remain subjective to all life's circumstances. Purpose has the power to push you beyond your limit when discovered. Immediately you discovered your core purpose for living and you capture the vision of where you are supposed to be, you automatically begin to feel inconvenient with where you are. You will always want more...always want to do more, go for more, become more better...you become so disturbed with the status quo. Until you see beyond where you are, nothing pushes you to do more than you are doing. An adage from my tribe goes thus ''when you see an elderly man running... he is either pursuing something or something's pursuing him...'' In the same vein, either you are pursuing something or something's pursuing you; it is purpose that keeps you moving. No pursuit without a purpose.Any purposeless pursuit becomes a puzzle. Show me a man who has discovered his purpose for living and I will show you a man who will never get complacent...who will never coast at any junction nor settle for less. Purpose discovery awakes a surge in you to always keep moving. No two human on earth are made alike. God invested His time and wisdom in making everyone so unique. It was your time to be made when God made you; you were not made in haste when somebody else was to be made. ''For He has made everything beautiful in His time.'' That includes you and that madkes you so unique. No one has exactly the same face with you...they may look like you but they are totally different from you. No one earth has the same mark on their palm like you do; your thumb print is so unique that no other personout of the millions of the world's population shares it with you. All these and many more are proofs and facts that made it clear that you are unique...so is your purpose on earth! God is too wise and skillful to have made repetitions. When you understand the uniqueness of your purpose; you quit comparing yourself with others; you quit wanting to be like someone else...the more you try to be like someone else, the more out of line you will be with your destiny. And at the end of the day, what will define success for your life will not be what you have done in relative to what somebody else has done but what you have done in relative to what you should have done...your purpose is so unique! Which Properties of Dawood Ibrahim Are For Auction?